Inlay and Inlay_b are in fact together but I separated them because it was too large for my scanner! Fun game, but frustrating for the kids .. I still remember how mad I'd get if I started off with the down-arrow ..
and music was so good !! 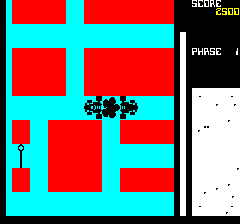 Used to enjoy this in the arcades and on the ZX81 (Maze Death Race by PSS). A great little car maze challenge. Bravo, Francois! 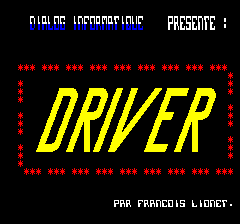 même avis que GODZIL : mon meilleur souvenir sur ORIC A very great one ! 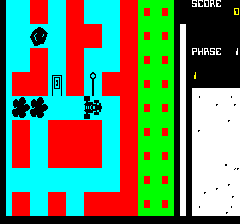 Not quite responsive to controls (at least as it behaves in oricutron). 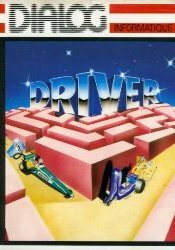 It's took me about 20 year to find this game after playing it on my oric, 20 years ago, even if it's buggy, I really loved it! 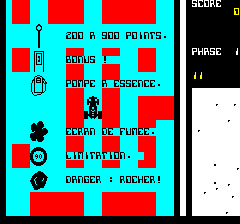 quesque je me suis éclaté sur ce jeu !! !